The “Courage Award” was established in 2015 in honor of our late friend and dedicated member of the Miracle League family, Mr. Chris Anderson. Chris succumbed to his battle with melanoma in September 2015 but not without a valiant fight against the disease, demonstrating courage, faith, hope and love every day of his life. 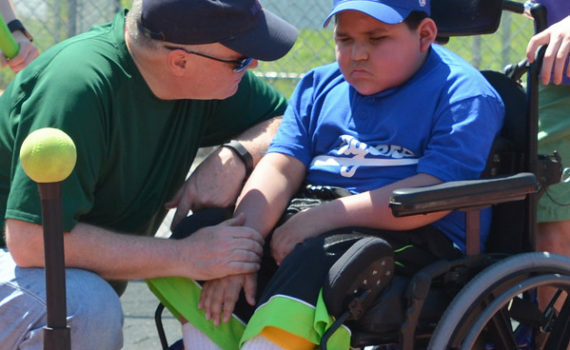 The Courage Award is awarded to a Miracle League player that possesses all the same attributes as our dear friend Chris, exhibiting all the traits of a true champion. Congratulations to Angel for being the first “Courage Award” recipient in November 2015. Angel is a living example of courage, soaring spirit, contagious motivation, strength and serves as an inspiration to us all.